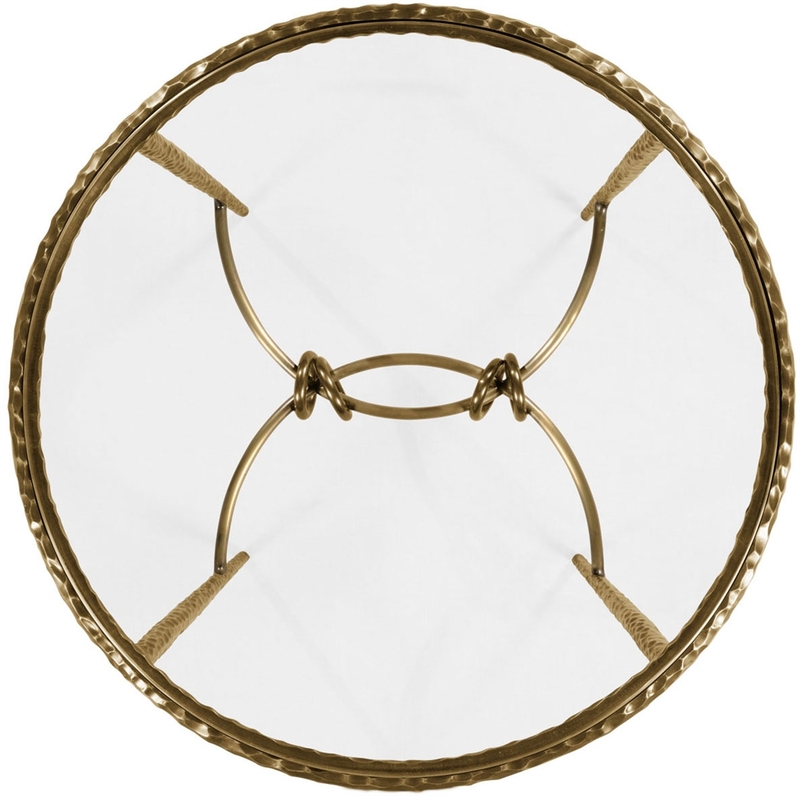 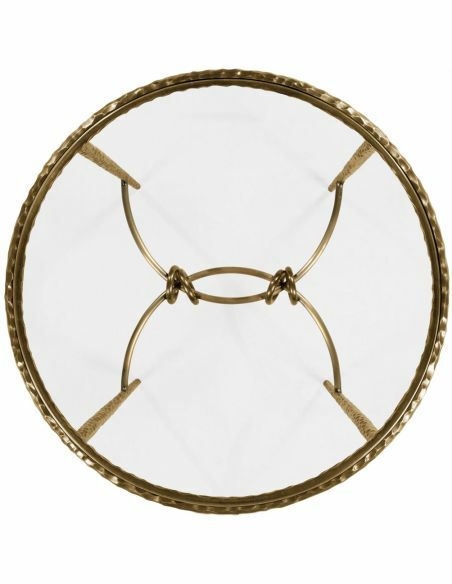 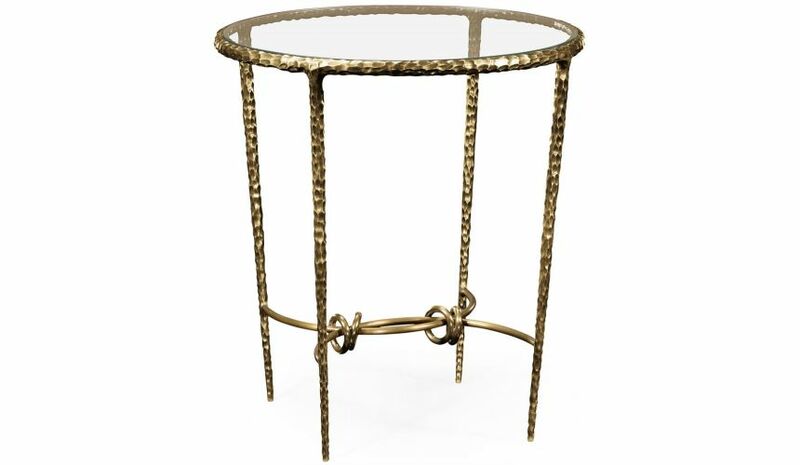 Home > Patinated finish hammered brass circular side table. 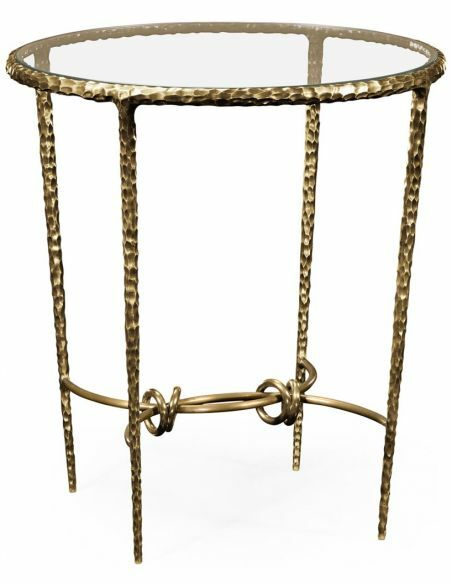 Patinated finish hammered brass circular side table. 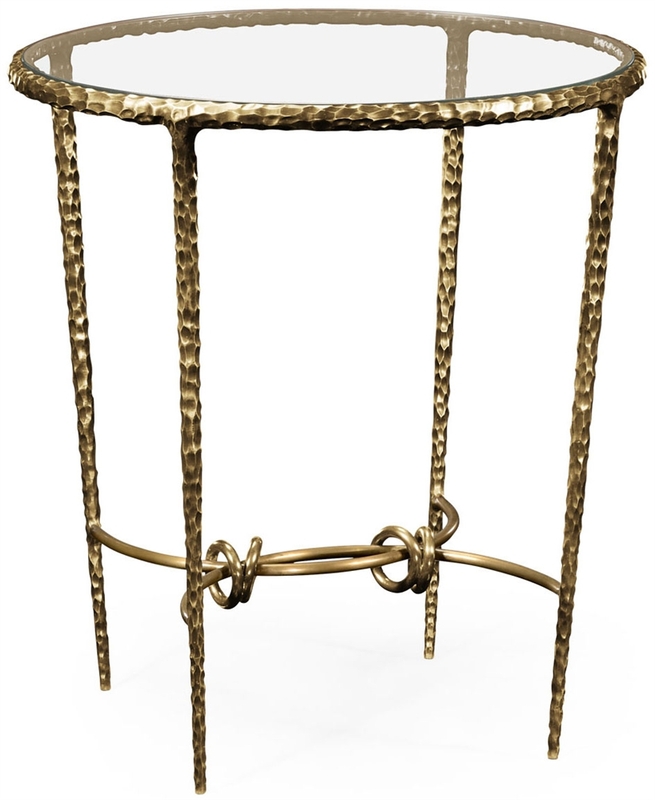 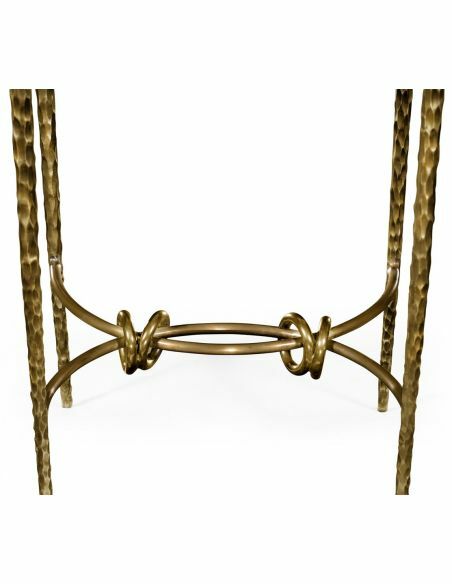 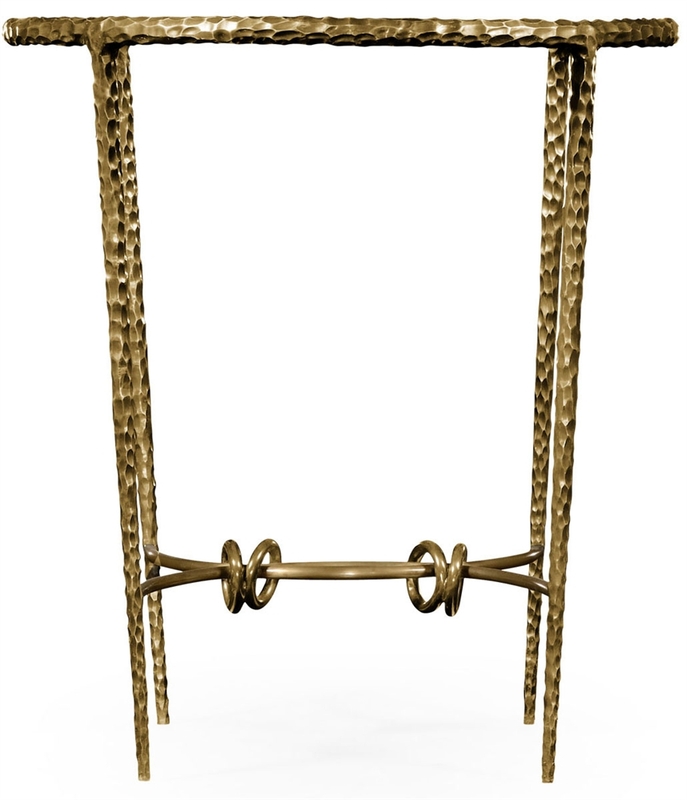 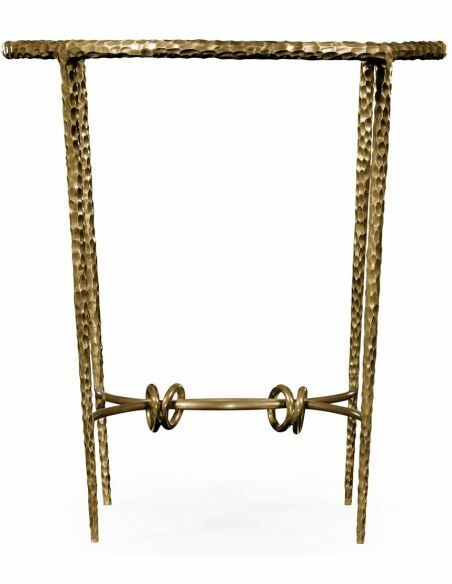 Stylish hammered and patinated brass side table with glass inset top and ring detail. 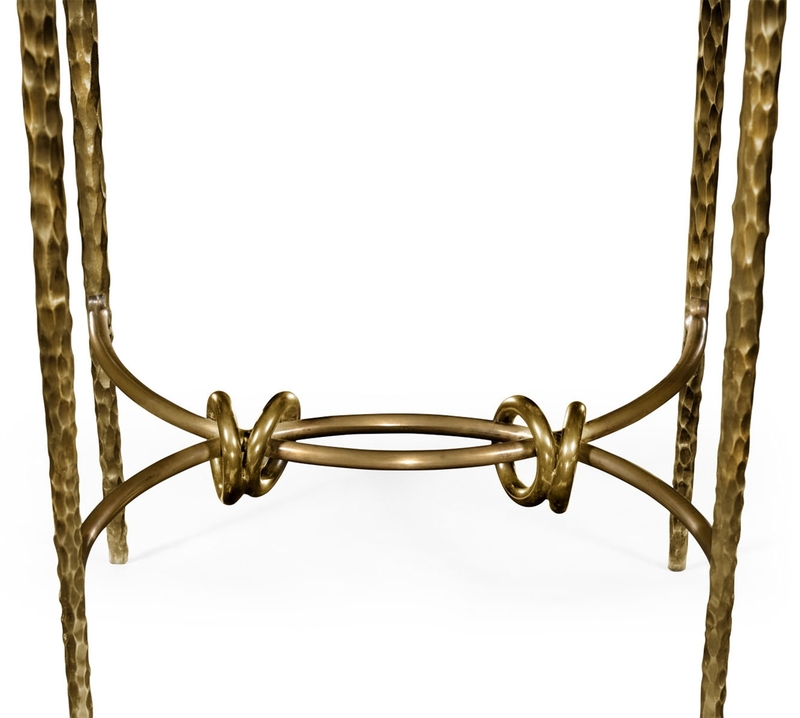 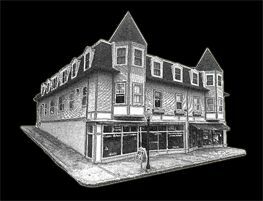 Inspired by Italian designs of the 1940's.